The Association of Fundraising Professionals (AFP MS) offers members the opportunity to connect with colleagues, engage in creative thinking, network with new friends and achieve great results in their work. We focus on delivering innovative educational programs and events to help you reach your goals. AFP Mississippi is your link to professional networking lunches; roundtable sessions; programs for advanced executives, mid-career professionals, and those new to the field. We also offer opportunities for volunteering, sponsor special events like National Philanthropy Day, and much more. Help make AFP MS work for you! Contact us at AFPMississippi@gmail.com to learn more and get involved! 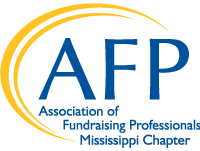 The AFP MS chapter organized to advance ethical and effective fundraising in Mississippi and to further education for fundraising professionals and increase awareness of the fundraising profession. This active chapter includes members from all corners of the state - from small, community-based nonprofits to large, institutional nonprofits. AFP MS has been a 10 Star Chapter since 2010. 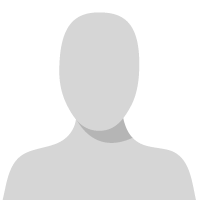 Our monthly meetings are held at noon on the 2nd Wednesday of each month.